Peter and Marieson were wonderful accommodating hosts. We enjoyed our peaceful stay and a beautiful sunset. Recommend this quiet, off the path retreat. the place was a bit far from the provincial road. you'll need to take habal habal or rent a private van that will take you to the resort. BUT you'll never regret booking at Blue Seastar. you wont be disappointed in the quiet place, food (where you get to request what meal you prefer) and the very warm accommodation of the owners and staff. you'll get to eat with them, exchange ideas, stories even itineraries! they treat guests as if they are their friends and family. Nanette and Rein. Thank you very much for your heartwarming comment. We hope to see you some day again. Keep on going! Regards Marieson, Peter and Cynthia. Our 3-night stay at Blue Sea Star was one of the best experiences we've ever had on a trip. There are only two cottages at the resort, and ours had a fantastic view of the sea and sunset. Cynthia, our very warm and accomodating host, went the extra mile when our flight was cancelled at the last minute; she was able to book ferry tickets for us for the next day. She was an amazing cook, and knew how to use simple ingredients to create a feast. As we are vegetarians, we can truly say that she understood what it means to cook good vegetarian food -- perhaps even some of the best food we've ever had from a hotel or resort. She also ordered some tuba (coconut toddy) for us, and arranged a motorized tricycle to take us to a sandy beach nearby. If you truly want to relax and enjoy the tranquility of a simple and lovely island, this is the place to chill out, appreciate nature's bounty and reboot! staff , quiet and location . Attentive couple staff Phil and German was in complete availability during our stay at this resort , fresh fishes and organic food with good value can be planned easily even every day and we have appreciated to enjoy our cook at the complete outdoor kitchen these large tables were also pleasant for children out of meal , full healthy breakfast or a meal can be requested and prepared by a family good and kind cooker . The resort is above a little cliff , perfect location for stunning sunset and 180° sea view , down rocky beaches with real clear water and small spring water spa located after 10 ' path were our daily private blessing . Sandy beaches with clear water can be reached quickly from the resort . 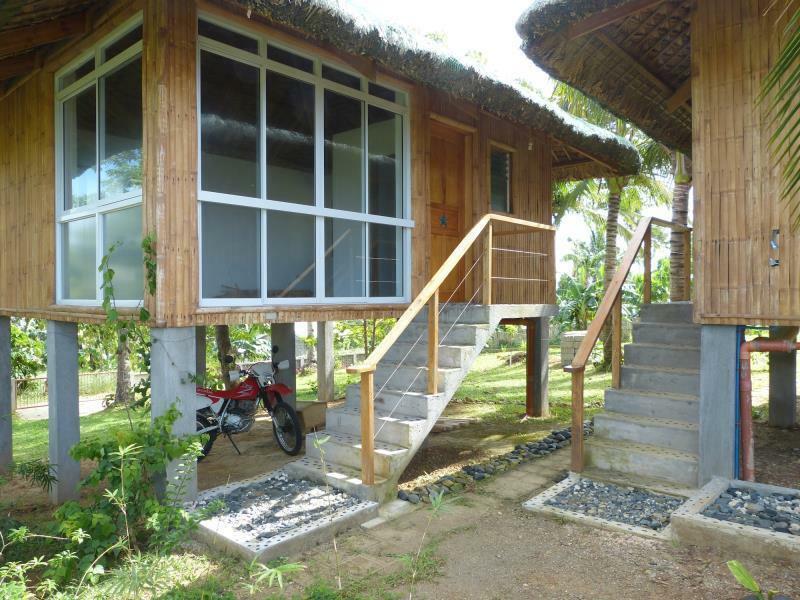 safety , cleanliness , comfy bedding , bathroom and equipment run perfectly in a new and beautifull wood nipa built . 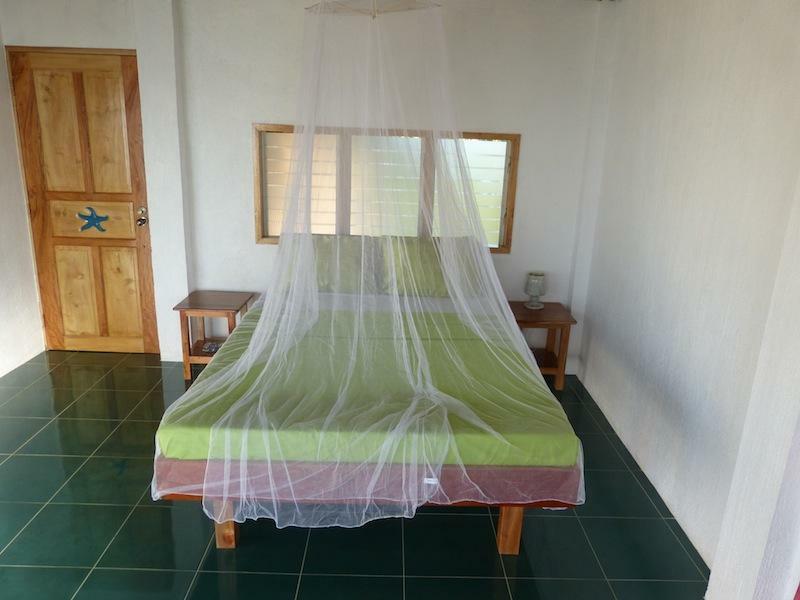 at Tablas island , this small resort is very convenient for couple with or without children who are looking for a relaxed place at a very quiet surrounding . the staff is very attentive to host's interest when we had any needs and quite discret to have a free home feeling during our stay . this Resort for us was an excellent value for kindness's staff , amazing sunset , wonderful beaches , fresh food , quiet place out of crowded areas and pure air at country side rhythm . we will come back at Blue Seastar Resort . we are a little familly with children (3 and 6) Maylene , K. and J. (Philippine) , Pierre (France) . Le logement était super ,très grand bungalow avec terrasse ,vue mer et couché de soleil. Propreté 10/10. Les hôtes sont adorables ,le petit déjeuner et le dîner sont a tomber par terre ,marison et ses soeurs sont des vrai petits chefs,qui feront tout pour vous faire plaisir ,et Peter aussi bien-sûr. Tout était parfait ,et nous y retournerons l année prochaine ,merci encore pour votre accueil. Merci beaucoup. Nous sommes impatients de vous accueillir à nouveau l'année prochaine. Unsere vielen positiven Erfahrungen, auf den Philippinen, wurden hier weit übertroffen. Wir wurden kulinarisch wie auch menschlich umfassend verwöhnt. Gerne kommen wir wieder. Vielen Dank für deine Beurteilung. Wir hoffen, dass ihr noch eine wunderschöne Weiterreise habt. We hope to see you again. Nur noch ein Sandstrand fehlt, dann wäre es paradiesisch/perfekt.